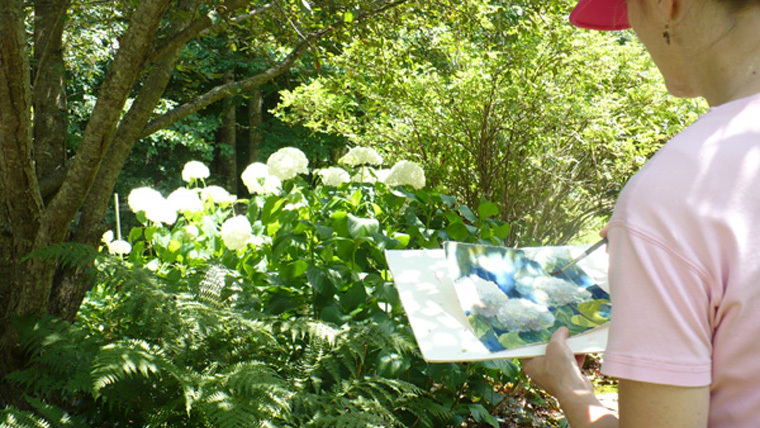 Spring is just around the corner and the flowers will be in bloom before we know it! Though Hills of Snow hydrangeas don't bloom until July, they are such a favorite flower of mine that I like painting them any time of year. 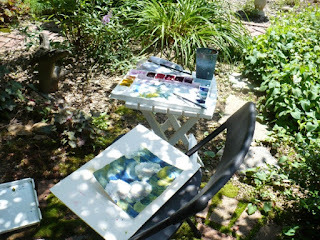 I found a 23x37 inch gold wood frame in my studio that I had not yet used. 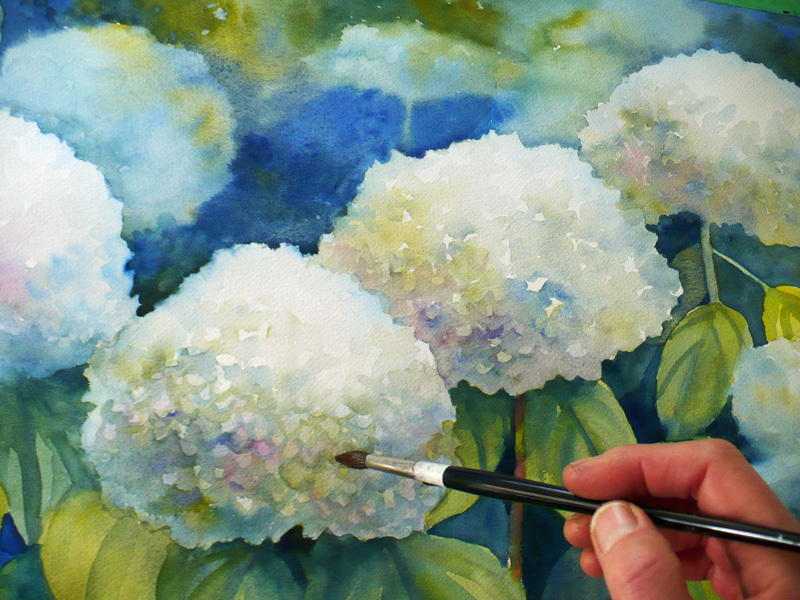 I thought it would be lovely for a large hydrangeas watercolor. Since the flowers are not blooming in winter, I used as reference an 8x10 watercolor I'd created some years ago while painting outdoors in my garden. 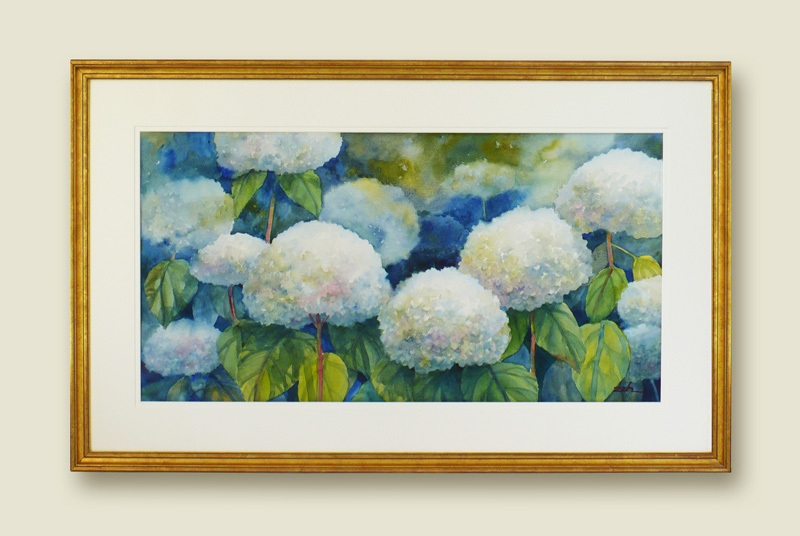 I flipped the composition and expanded it to add more flowers since the frame is wide but narrow. Then I painted it on 140lb cold press watercolor paper like the smaller version. The original framed watercolor is sold. Let me know if you'd like a similar watercolor painted just for you. I also made a couple of print versions using details of the larger painting. 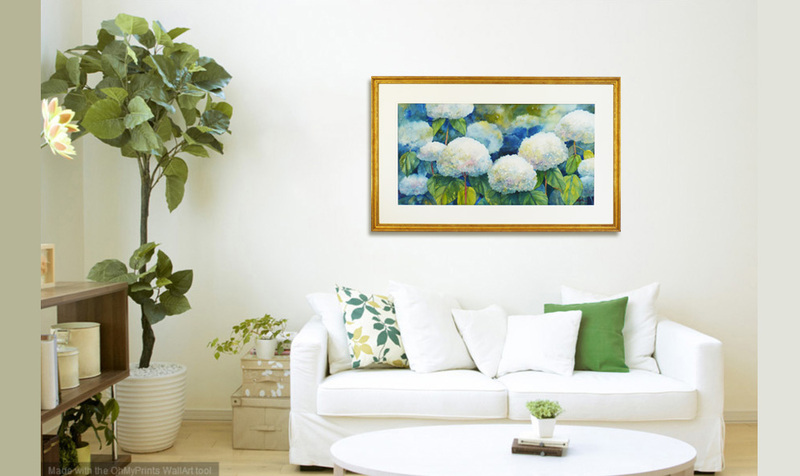 You can purchase them in my fine art prints shop where you can select to have them framed or printed on canvas here: Annabelle Hydrangeas fine art print. Here's looking forward to the flowers blooming again!